Incorporating ESG into investment processes now constitutes both a risk management practice and an asset-raising strategy for many investment managers. As investment managers consider ways to integrate ESG into current investment processes or launch new products around ESG best practices, they’re well served to understand their clients’ differing needs, requirements, and approaches on the topic. 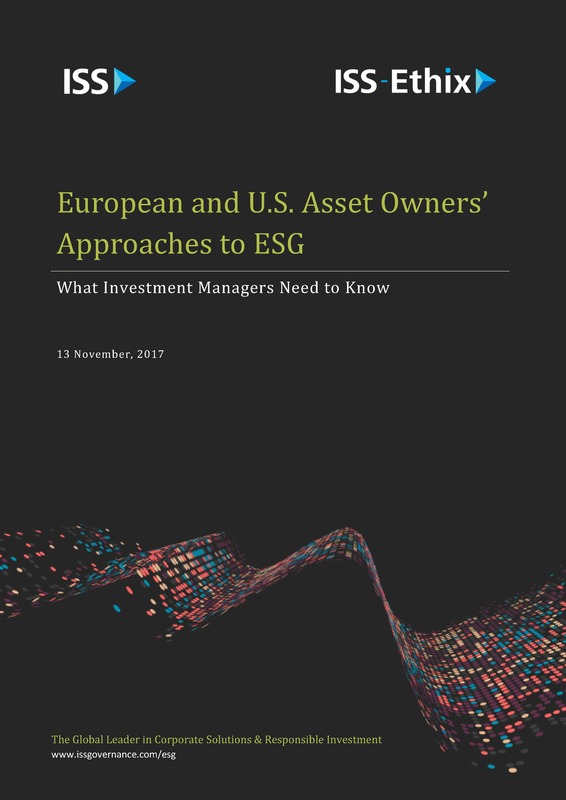 In this report, ISS compares U.S. and European asset owners’ approaches to ESG, with the aim of informing investment managers’ evolving strategies.